According to a leading property expert, the role of a Body Corporate is an important, but often mis-understood, part of property ownership. Body Corporate isn’t as threatening as one might initially think. Ultimately, there are benefits to owning either a house or apartment. 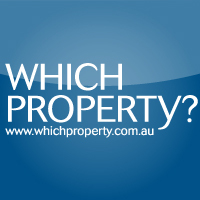 The decision to purchase a property with Body Corporate fees will come back to your preferences and financial goals. “Contributing to two separate funds, Body Corporate fees keep a property looking its absolute best. And if a property is well taken care of it will be more appealing to both tenants and purchasers” said Mr Borrill. If you own an apartment or townhome, or plan to invest in these types of properties in the future, it’s important to understand the roles and responsibilities of a Body Corporate. Body Corporate fees shouldn’t be an automatic deterrent when choosing a property. A number of factors should as always form the basis of a smart investment decision, including your individual goals and financial position. For an in-depth explanation on Body Corporate, see the latest Property Insight Newsletter from Which Property. For further information contact Paula McLean, Sales & Marketing Director, Which Property, 07 3505 6000 or paula.mclean@whichproperty.com.au.